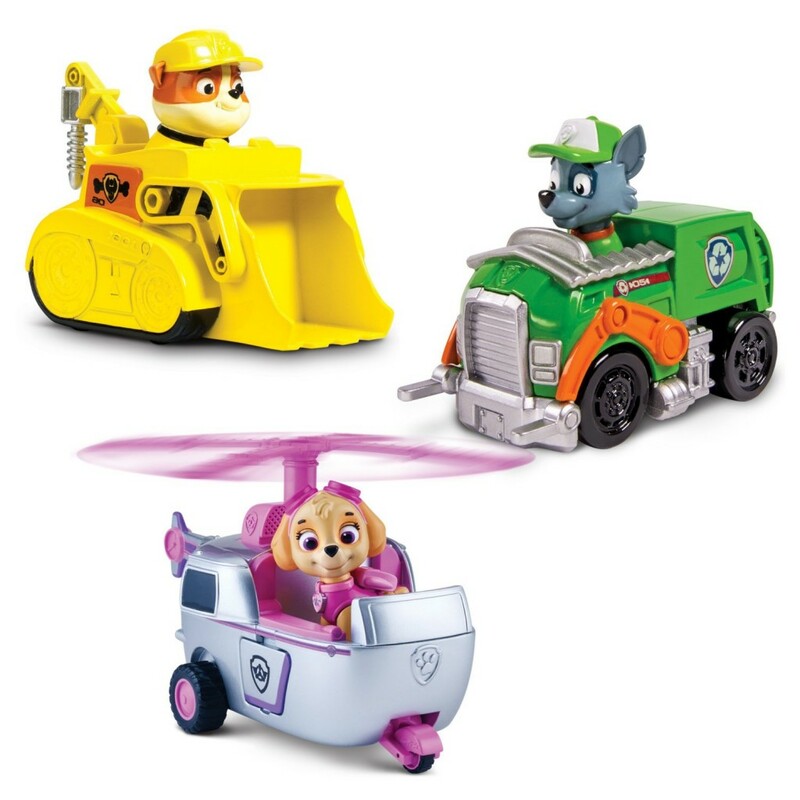 Race to the ruff-ruff rescue with Paw Patrol Rescue Racers three-pack! With real working wheels, Rubble, Rocky and Skye race into action. 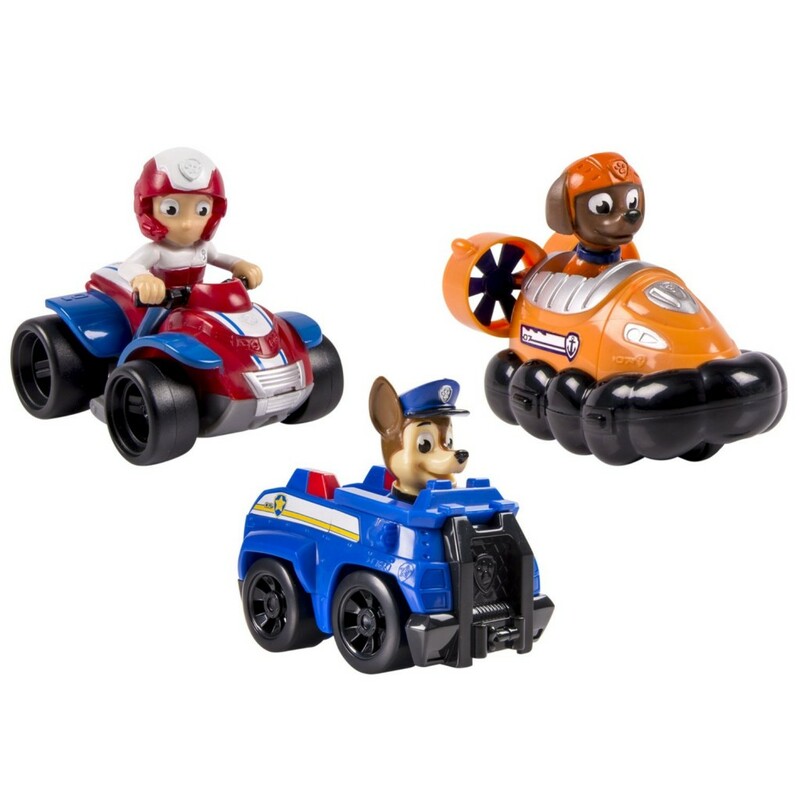 Cruise with the Paw Patrol by collecting all of the Paw Patrol Racers. Together, your child’s imagination will be lit up with pup inspired rescue missions full of friendship, teamwork and bravery. No job is too big and no pup is too small. Race to the ruff-ruff rescue with Paw Patrol Racers! 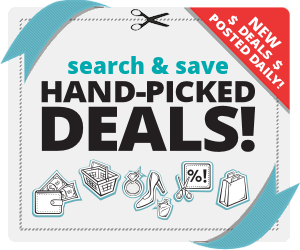 These are also $8.99! You can get the whole set for $18!